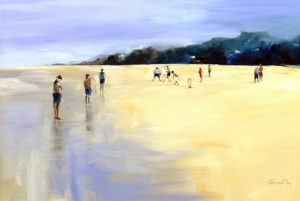 with my painting “Beach Cricket”. of social or local club cricket. Around 200 works of art were submitted. finally finishing at the Bradman Museum, Bowral NSW in March 2011. Winners will be announced on the evening of October 7.